Our Bio shop is open daily from 08:00 to 13:00 and from 15:00 to 20:00 (out of season only mornings). It offers a rich biological food assortment, such as eggs, sausage, cheese, fruits, vegetables and various dairy products. 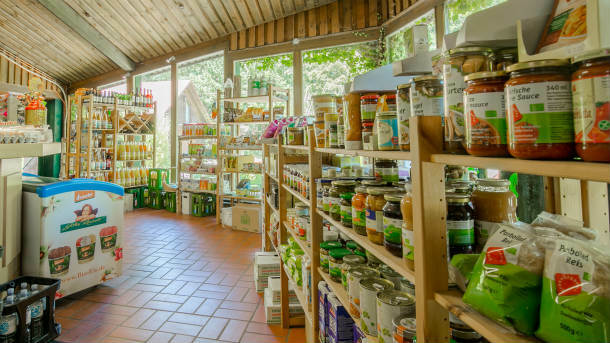 In addition, there are also fresh baked goods from the local Bohlsener mill and you can also buy pasta, spreads, sauces, canned goods and much more. Of course, all products are in organic quality. Also camping supplies, toys and a wide selection of newspapers and magazines can be found here. The offer is complemented by a variety of drugstore and stationery items, as well as a few beautiful things from the Lüneburg Heath. 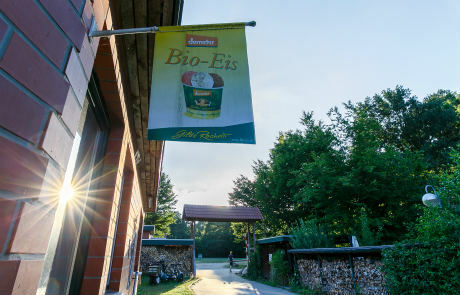 Especially on hot days you can look forward to cooled biological drinks of the brands Lammsbräu and Völkel. In addition to soda and beer we have also water, juices and sparkling wine in the fridge. You can enjoy your holiday to the fullest, by using the opportunity in our Bio shop to put all acquired articles on the final bill. Thus, you do not have to constantly carry your wallet during your stay. Here you still pay with your good name. In our Bio shop you can get fresh bread rolls every morning at 8 am. 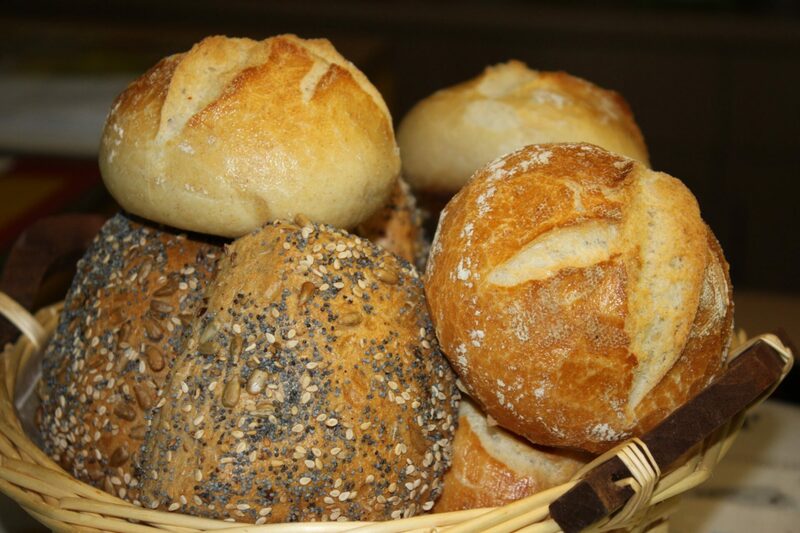 You can choose from wheat, spelled and wholegrain bread rolls from the Bohlsener Mill. These are baked fresh every morning for you. If you prefer to be spoilt in the morning, you can also choose between different, lovingly prepared breakfast menus. Sweet or hearty, there is something for everyone. 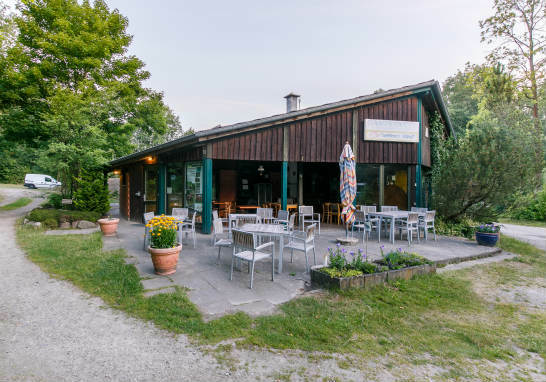 The snack bar is open every day for you in the season from 03:00 – 07:00 pm. You can choose from a variety of meals, such as burgers, currywurst, pizza and nuggets. Of course, the vegetarians are fed up with us. For you we have potato pancakes, falafel burgers and salad on offer. All this, of course, is in bio-based quality. A very special highlight are the bio-based fries. Absolutely delicious! To enjoy the evening sun with a meal, you can make yourself comfortable on the terrace. Here Interntet is free! Internet is available throughout the campsite, just connect your phone with LAN1 and enjoy time and data free WiFi. 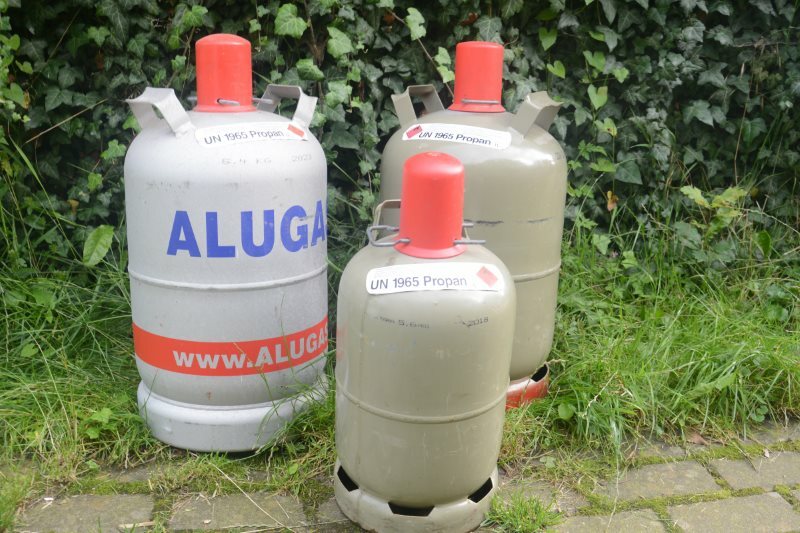 Gray gas bottles can be purchased or exchanged for a fee at the campsite. Please always remember the protective cap as part of the safety precautions. There are 5kg and 11kg bottles as gray exchange bottles. We also have 11kg aluminum bottles to make it lighter. 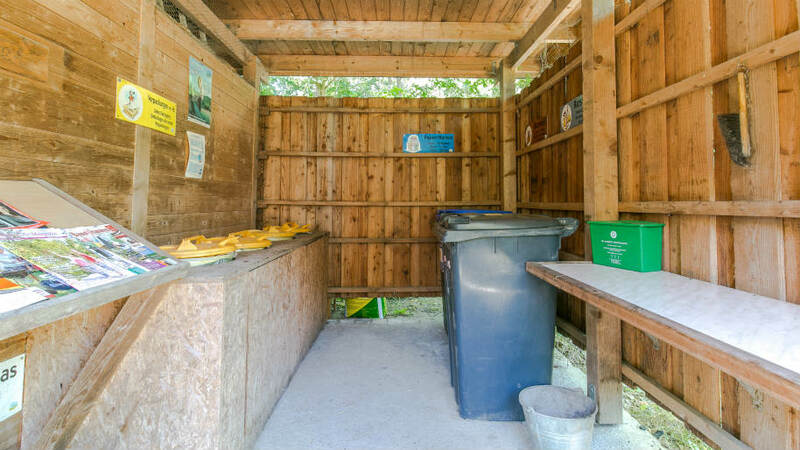 The campsite has two buildings with sanitary facilities. 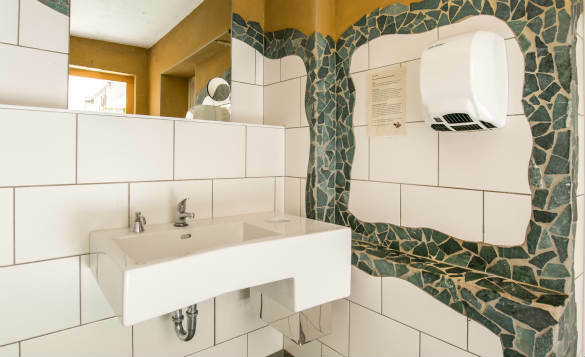 In the main building you will find heated rooms with hot showers (included in the price) and single washing cabins. 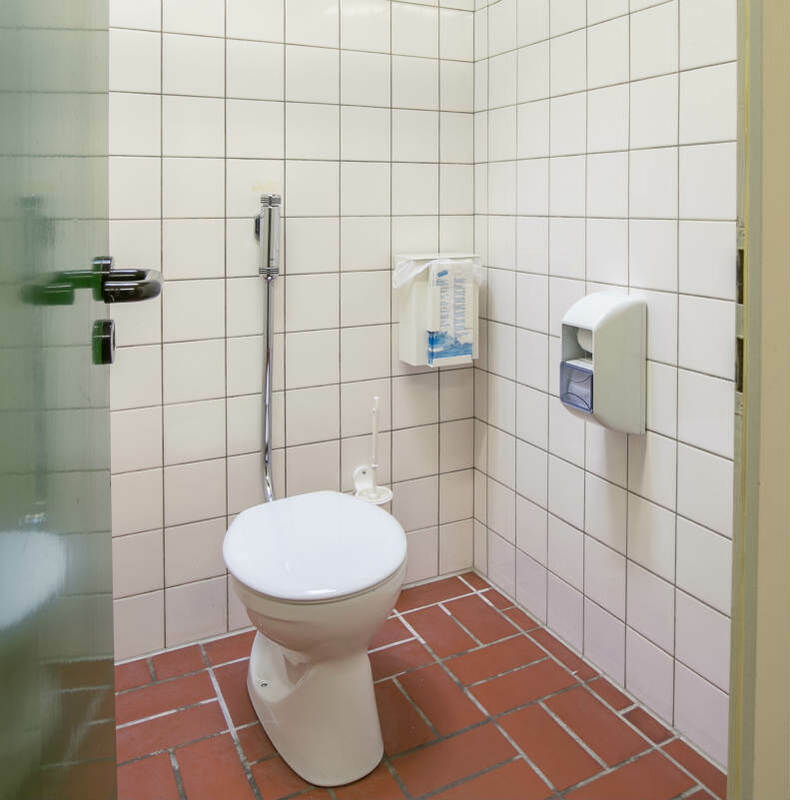 A separate family bathroom is also big enough for wheelchairs. 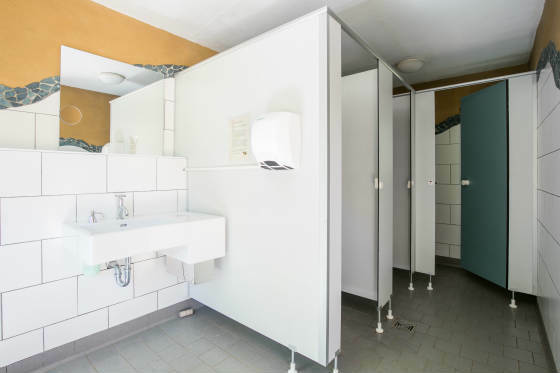 Everything is at ground level and there is also a handicapped accessible WC. 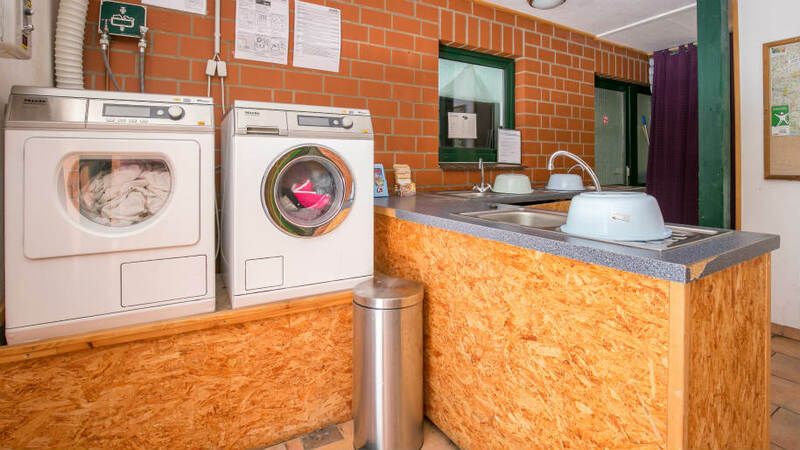 In the anteroom there is a washing machine, adryer and sinks for washing the dishes (most important place of communication on the campsite). At the NaturFreiBad the old, small sanitary building has been renovated. This is mainly for tent and swimming pool guests. 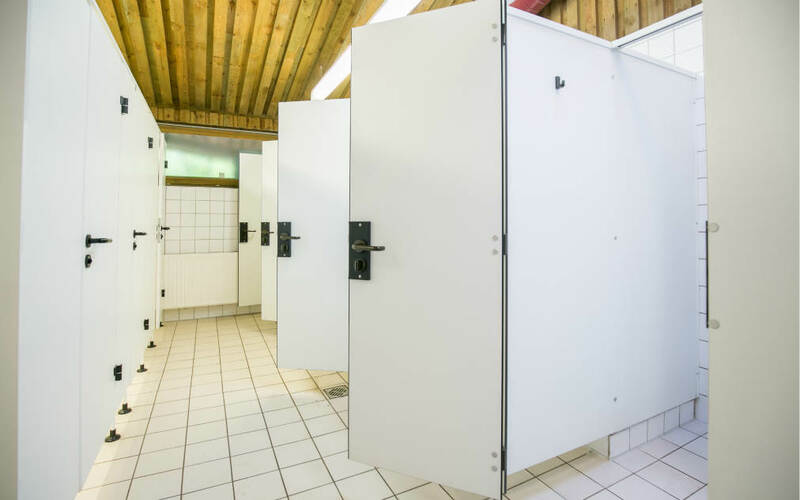 Inside are toilets and ground level. 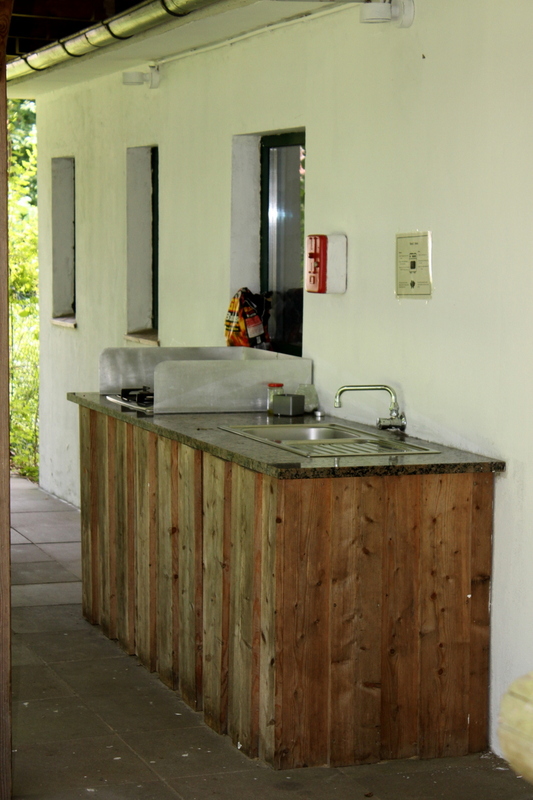 Whether in the rain or bright sunshine, the campsite offers a few cosy places. 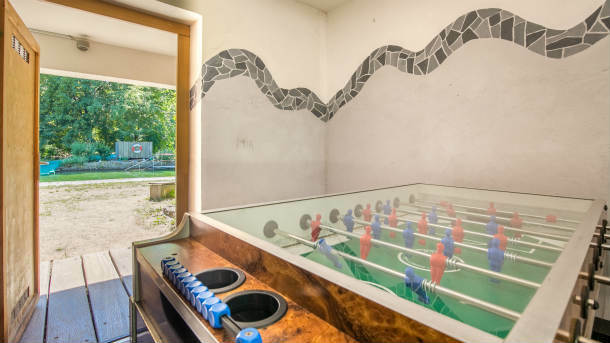 A lounge with table football is located in the building between the tent meadow and the NaturFreiBad. There is a fridge with rentable cooling compartments. You will also find locklable mobile phone charging stations that are free of charge. The cooking area with free gas stove completes the offer for guests with tent. 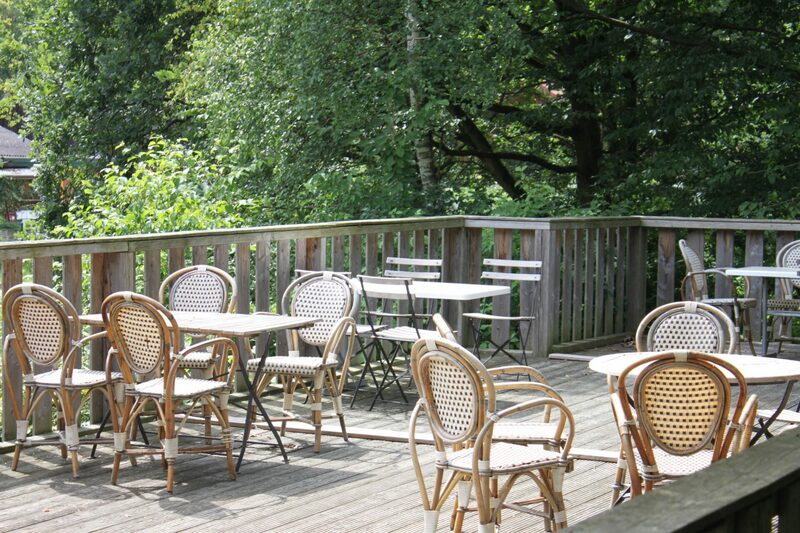 If you want to enjoy the sun, you can relax on the terrace at the restaurant or on the roof terrace.